♥•*¨☠*•♫♪ GELATINA presents ISA GT! ♪♫•* ☠¨*•♥ from Jellyfish on Vimeo. One of my favourite parties!! check all the info on their fb event. GELATINA presents ISA GT! 2nd Anniversary Party!! from Jellyfish on Vimeo. Can’t wait! more info here. 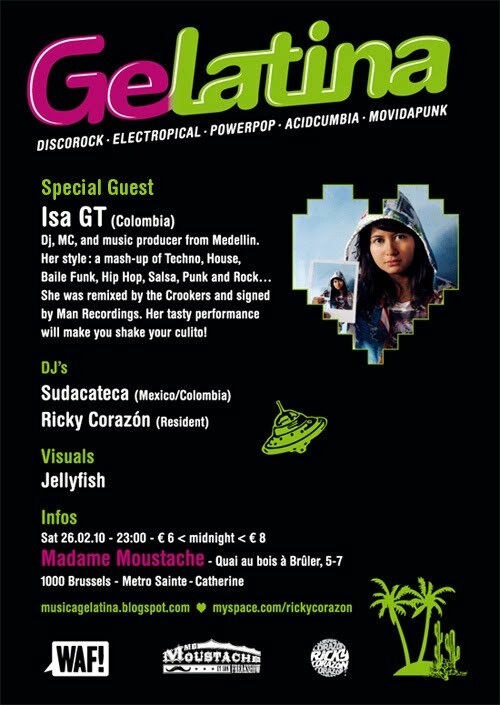 >ISA GT IN BRUSSELS! 26TH FEB! This party is gonna be Awesome!! check the line up and more info here!